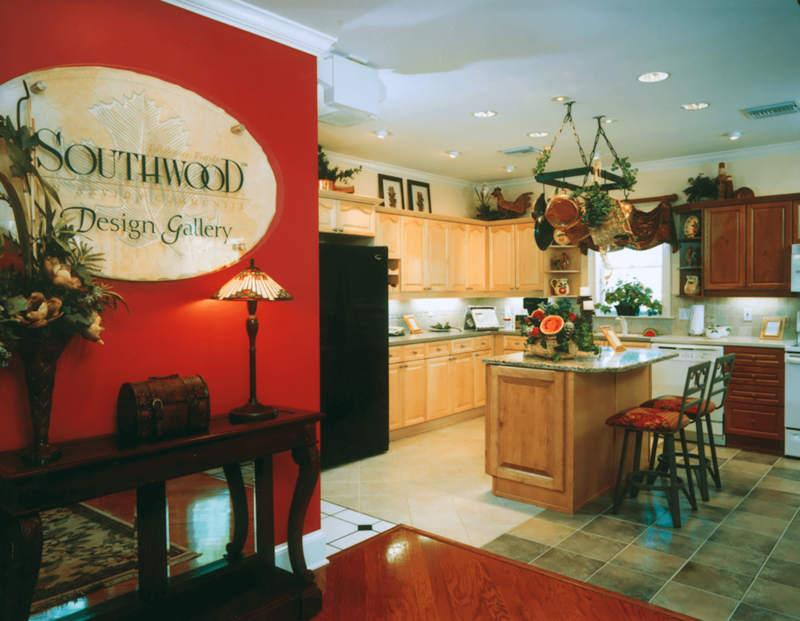 Southwood Design Gallery - Marketing Specifics, Inc.
What looked liked an old, southern gas station on the Southwood property, was restored and turned into the design gallery for this masterplanned community. This well-designed selling environment was put together with the selling of options and upgrades in mind. The design gallery included niches, special features and custom vignettes to showcase all that was offered to Southwood homebuyers. 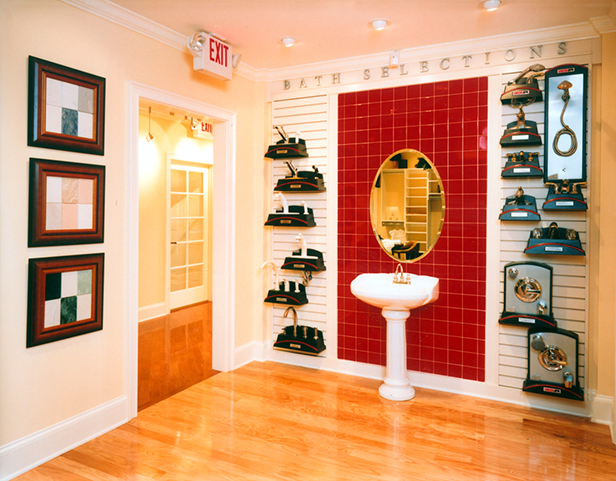 A floor-to-ceiling selections display for faucets, wall-to-wall displays for carpets and tile and an exciting Harry Potter kid’s room, including torches etc., came together for an impactful sales tool. 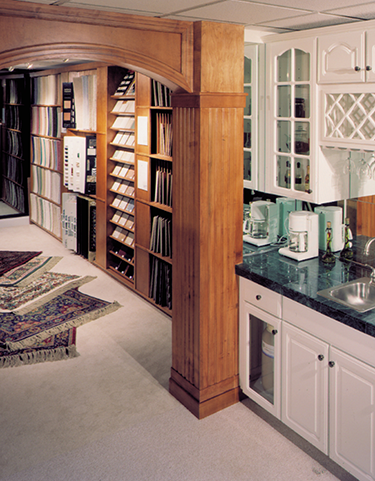 It’s a shopper’s paradise at the Southwood Design Gallery where design ideas rule.